Major changes are happening within Gotham City. There is a new Commissioner in town and she has big plans to fight crime - plans that don’t just involve pressing the Bat button. To the horror of our favourite caped crusader, Commissioner Barbara Gordon (Rosario Dawson) wants to work in partnership with Batman (Will Arnett). Meanwhile, The Joker (Zach Galifianakis) has plans of his own and this time they might just succeed in tearing Gotham City apart. Can Batman put his fear of relationships aside and, working with his friends, save the day? There is just something wonderful about a film franchise (particularly one with such a long and varied history) being prepared to laugh at itself. Each Batman era provides fertile ground for comedy - from 2016’s Batman Versus Superman to Adam West’s 1960s incarnation. Indeed, there are so many visual gags, movie references and self aware jokes that a second viewing is essential to appreciate them fully. Born with facial differences that, up until now, have prevented him from going to a mainstream school, August Pullman becomes the most unlikely of heroes when he enters the local fifth grade. As his family, his new classmates, and the wider community all struggle with issues of compassion and acceptance, Auggie's extraordinary journey will unite them all and prove that you can't blend in when you were born to stand out. While Wonder explores many emotionally powerful themes (acceptance and difference, friendship and bullying, joy and grief), at no point did I feel manipulated by ruthless, cynical storytelling. In addition to the more moving scenes, Chbosky's film is funny, entertaining and inspiring - it is a pleasure to be in Auggie's often hilarious and remarkably resilient company. 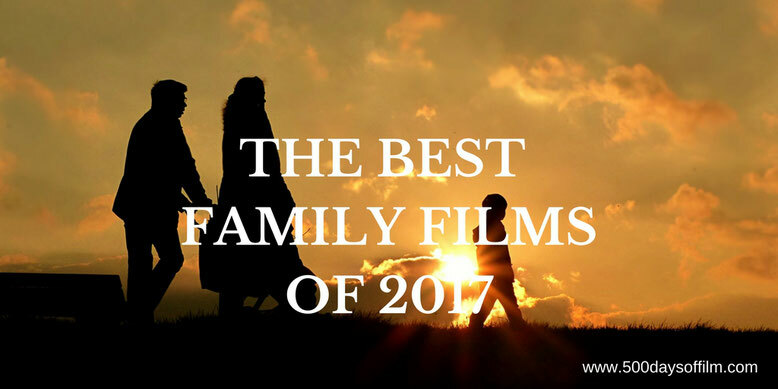 What Is Your Favourite Family Film Of 2017? What was your favourite family film of 2017? Let me know in the comments section below or via Facebook or Twitter (@500DaysOfFilm).